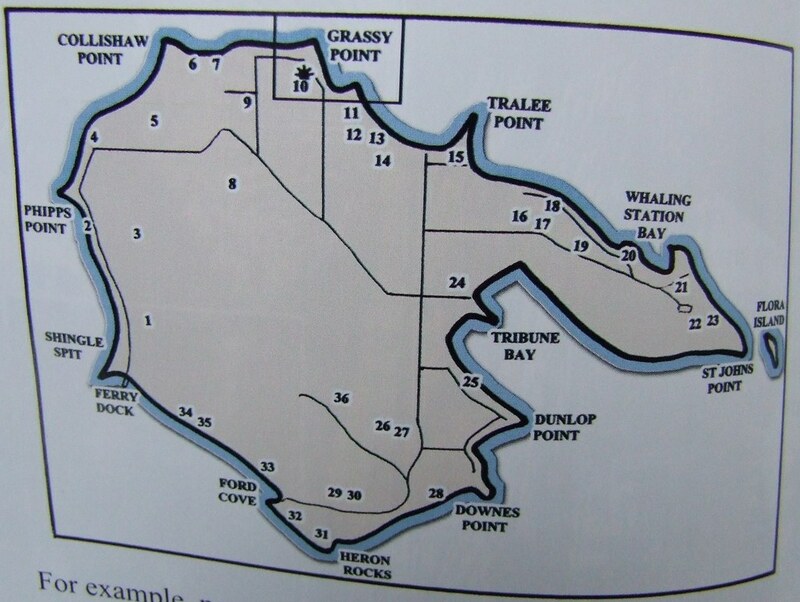 This is the thread for posting fotos, videos & discussion of Nest #20 Whaling Station. This nest is on Whaling Station Bay. This is a beautiful bay, & a lovely sandy swimming beach. 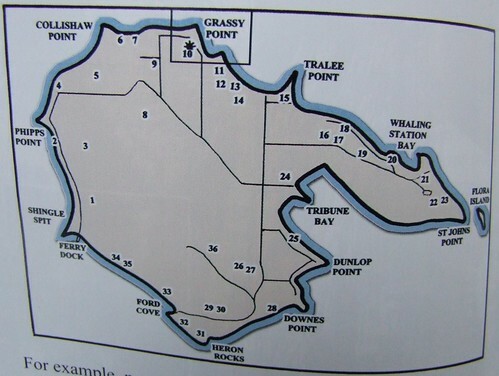 The nest is on the western edge of the Bay. Today i talked to a neighbour of Nest #20. She follows it quite closely, & has even rescued one of it*s eagles in the past. Today she said that the eagles of this nest have gone from being in a pair, to one being in the nest, & one being in a perch tree alone. She said the one on the nest was making sounds such that she was sure the Mum was laying an egg. But there is no way to tell for sure, except that one eagle is now always on the nest. So let*s hope this nest has two eggs, like last year! This neighbour reported to me again yesterday. She is certain, from watching the nest for years, & seeing the behaviour of the parents now, that they are feeding at least one eaglet on the nest. i*ll have to get there & get some fotos one day. She said these eagles & their eaglets are hilarious. 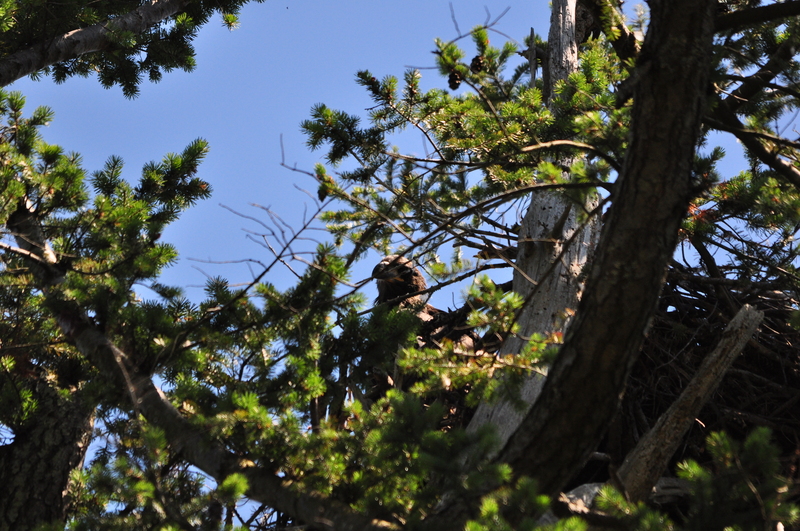 When the eaglets first learn to fly, they go crashing into the tree limbs with a huge noise. They are always trying to be where the parents are. Once they have left the nest, they try to roost at night in the tree that the parents are using, but the parents won*t let them! So they get to a tree as close as they can, & are allowed, by the parents! This neighbour of this nest gets to watch all these fledging antics from their deck! i stopped by Nest # 20 today to see what i could see. So i got my camera. 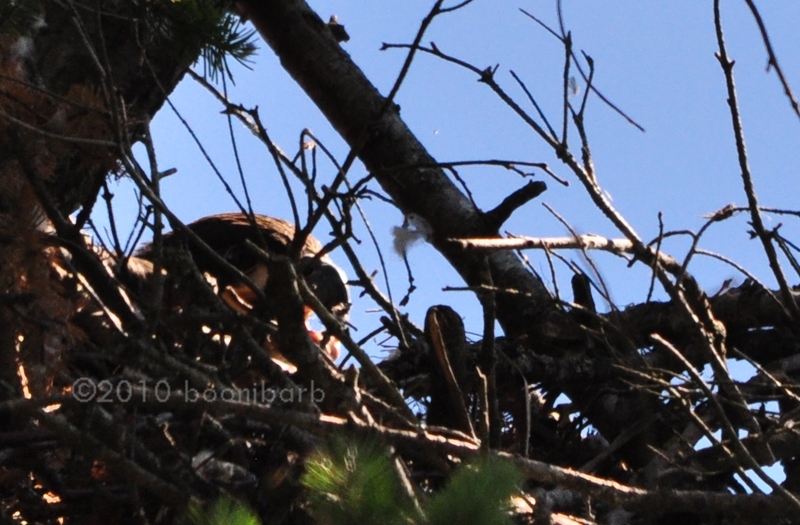 After watching for a bit, i noticed a second eaglet! So, two eaglets for nest # 20!! You can see them panting here & look at the tongue! Now here is the second eaglet! 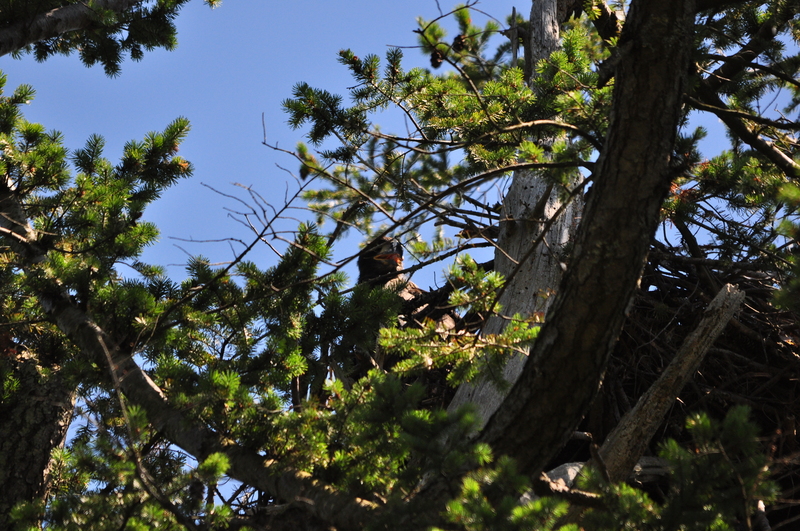 Umm... is it the light, or does that first eaglet have orange commissures too, like the eaglets in nest 7? And the little ones can't even go in the water to cool off! At least the parents can go in the water if they want to do it. wren, when i was looking over my fotos to choose the best ones, those orange commissures jumped out at me, too! Kinda like nest #6,7, hey? 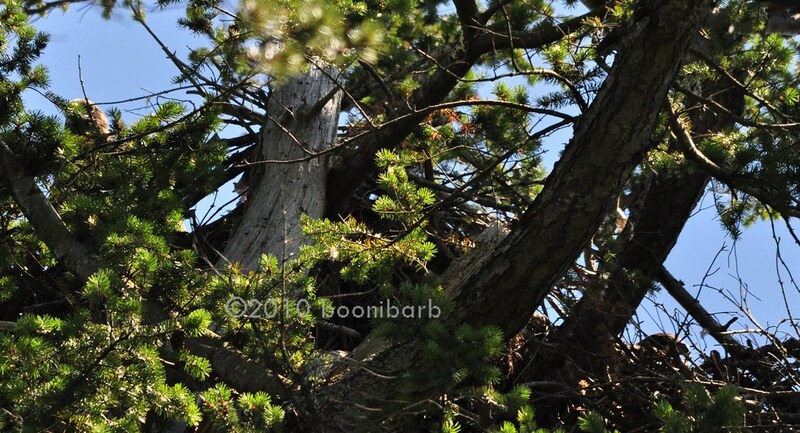 i stopped by the nest yesterday to check on the eaglets. i could HEAR them before i even got out of my van! They were both screeping away at top volume. Turns out there was an adult on the nest. Friday morning at work i was approached by the neighbour of this Nest. He reported to me that he thinks the eaglets in the Nest are *lazy* this year, in that they are not flapping around as much, & they haven*t left the Nest yet. He also reported that a week ago, one of the adults captured a seagull in mid air. Although i know this is usual eagle behaviour, he said it was unusual behaviour for THESE eagles, who usually eat fish. i said we are a bit worried about the eaglets getting enough to eat this year. & to please call me, if he has anything more to report. Booni, that's interesting because I felt for quite a while that Phoenix wasn't flapping as much as Hope had. Don't know what it means yet, but apparently another person noticed that with the Nest #20, from what you posted. When i got to Nest #20 this afternoon, i could see or hear nothing. Then i heard calling, & realized there was an adult in a perch tree on the water. Then i heard the eaglets! But i could not spot them. i was walking away when i heard an eaglet again. i looked up, & there was one in the top of a tree. Then i saw the other in a waterfront tree. At one point they both started screeping up a storm & the one at the top of the tree flew to the Nest. The screeping of both continued. When i changed my view, i could see an adult in the Nest. Yet the screeping of both continued. Suddenly the screeping of the one in the Nest stopped, while the one at the waterfront continued to screep. The eaglet in the Nest was eating. i could see the body movements of the eaglet pulling at food, then i would see their face, & could see them swallowing the food. Another happy family in Nest #20. Thanks for the update, Booni. So Mom and/or Dad on Nest 20 is/are still bringing food to the nest! Yay for good eagle parents! Thanks for making the rounds, Booni...HEART is on monitoring duty!